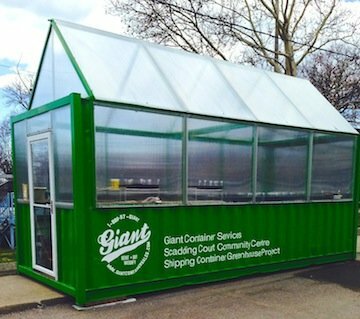 TORONTO, ONTARIO—In March, Giant Container Services donated Canada’s first shipping container greenhouse to the Scadding Court Community Centre in Toronto. This week, Giant and Scadding Court are happy to announce that plant life is beginning to sprout up. “The greenhouse has been great for the community,” said Nikki Toten, Manager of Development and Community Engagement. 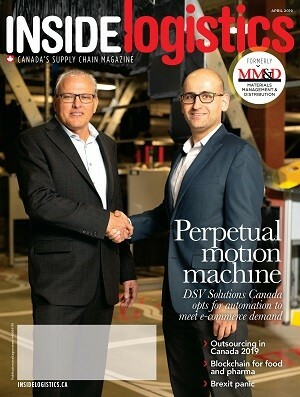 Toronto-based Giant Container Services has been modifying shipping containers into houses, swimming pools, solar powered kitchens, outdoor markets, portable ofﬁces, garages, greenhouses and custom shipping containers with roll doors for easy access since 2003.